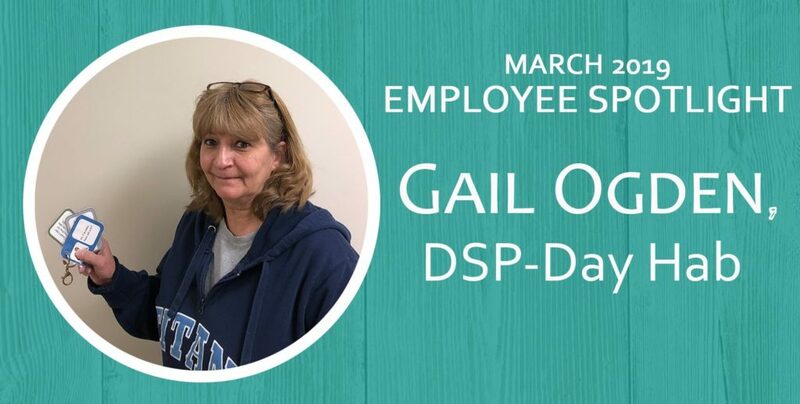 Congrats to March’s Employee Spotlight recipient, Gail Ogden. Gail worked with staff to develop and implement communication supports that enable one gentleman to converse with people that he sees regularly. The system includes a book with phrases specific to his regular collection route for recycling, and allows him to independently make small talk and ask questions related to his recycling services.